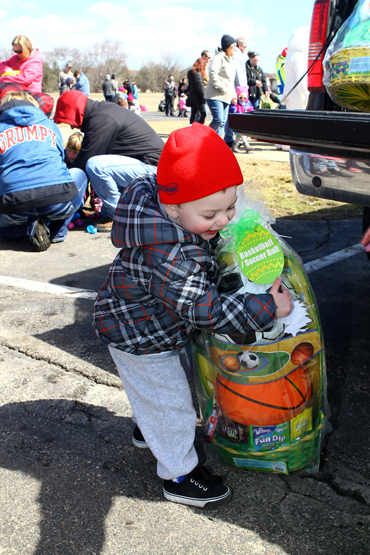 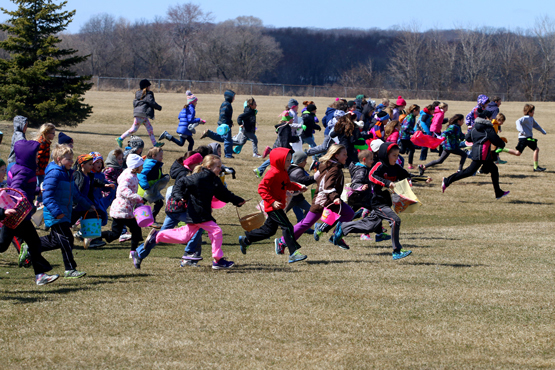 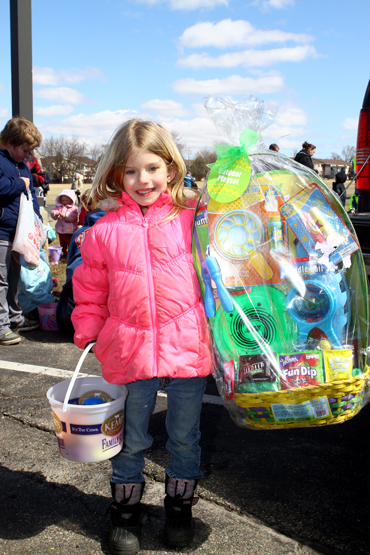 The Kiwanis Club of Westosha-Salem held their annual Easter Egg Hunt, Saturday, at Noon, at Salem Grade School. 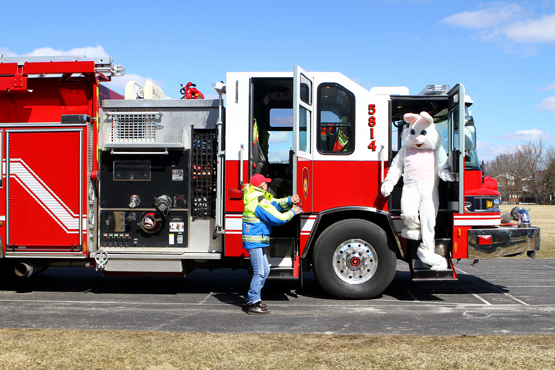 The Easter Bunny arrived with Salem Fire. 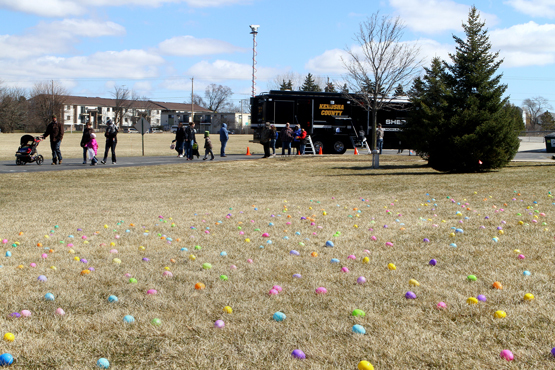 The Sheriff department command unit was available to tour while waiting for the hunt to start. 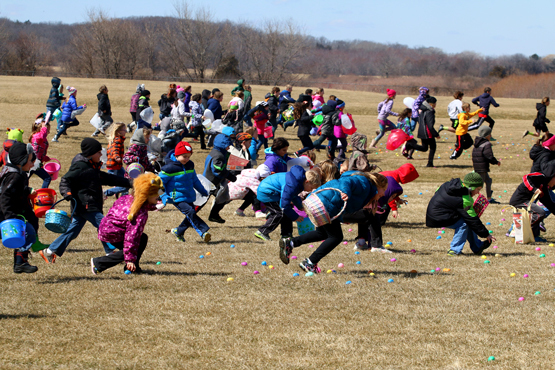 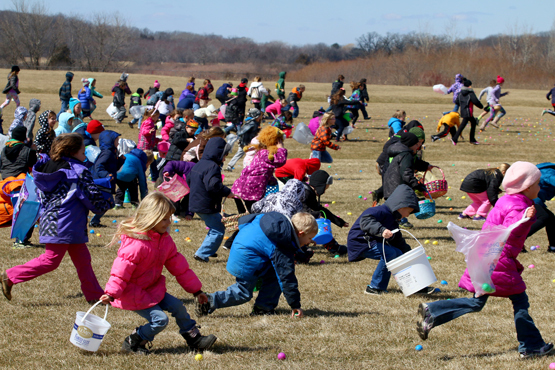 There were 4,000 eggs on the fields to be collected. 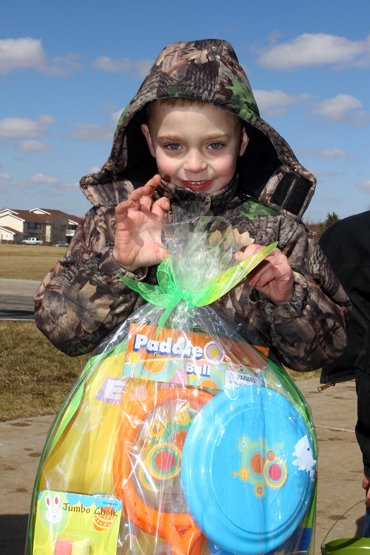 400 stuffed eggs were donated by Westosha Headstart.